Sony once again has proved that it is one of the biggest rivals ofsanyo-launches-its-latest-3lcd-projector/"> Sanyo to offer short focus video projectors. Today Sony has released its latest data projectors called canon-unveils-latest-hd-projector-sx800/">VPL-EX7 and VPL-EX70. These both models will work at the distance of 1.8m to project a 60” size worth screen with a acer-unveils-new-pico-projector-with-special-features/">1024x768 resolution. Although both modelsfirst-led-projector-from-delta-can-last-long/"> feature shot focal lens, yet VPL-EX70 is labeled as BrighEra with a 900:1 contrast ratio and a brightness of 2600 worlds-first-portable-video-projector-doubles-your-excitement/">lumens. 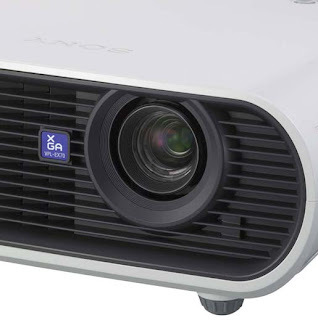 Another model VPL-EX7 has a 500:1 contrast ratio and 2000 lumens worlds-first-portable-video-projector-doubles-your-excitement/">brightness.